Laura joined BC Legal in 2016 after beginning her legal career in 2010, when she worked as a paralegal in BLM's Fraud team. Laura worked in the team for three years, dealing with litigated motor fraud cases ranging from alleged low-speed impacts, to staged accidents. In 2013, Laura commenced her training contract at BLM, spending 12 months in the Disease team as well as a period in the Local Authority team before qualifying into BLM's Disease team in 2015. 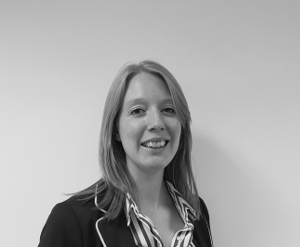 Laura has dealt with a variety of cases included asbestos-related conditions, RSI, NIHL, VWF, WRULD and HAVS. Laura also dealt with uninsured claims for a major international company with a complicated and extensive corporate structure. This involved detailed company research in order to establish whether the correct company was being pursued and who the relevant paymaster for the claim would be. This knowledge of corporate structures and company research lead to Laura taking over the day to day running of BLM's Insurance Tracing team. The team was responsible for tracing old insurance policies for insurers, private companies and brokers alike where simple ELTO searches had been unsuccessful.